There are foods I only like for nostalgic reasons. Fritos and bean dip, Jello-cake with whipped cream frosting, Taco Bell. It reminds me of growing up, in a house with ten people, and meal time was more of a defrost-and-feed triage. S’mores has one foot in that circle. It’s a partial reminder of those early days. You knew the day was special when it ended with S’mores. It was an afternoon-on-the-lake, camping-with-friends, backyard-grill-outs, kind of day that ended with a bunch of kids pulling puffy marshmallows out of a large plastic bag, skewering them with a wire coat hanger, and trying not to fall into the open fire pit. I was the burn-it-black kind of marshmallow maker. I was the charred-outside, melty-inside kinda girl. 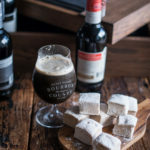 Now, I like to brulé homemade marshmallows to the perfect golden brown, serve them over homemade stout flavored chocolate bars along side a great beer. But I’ll still eat my weight in bean dip scooped up with Fritos because some things never change. Intimidated of marshmallow making? Check out my step-by-step tutorial (with photos). Just replace the water in the tutorial with beer. 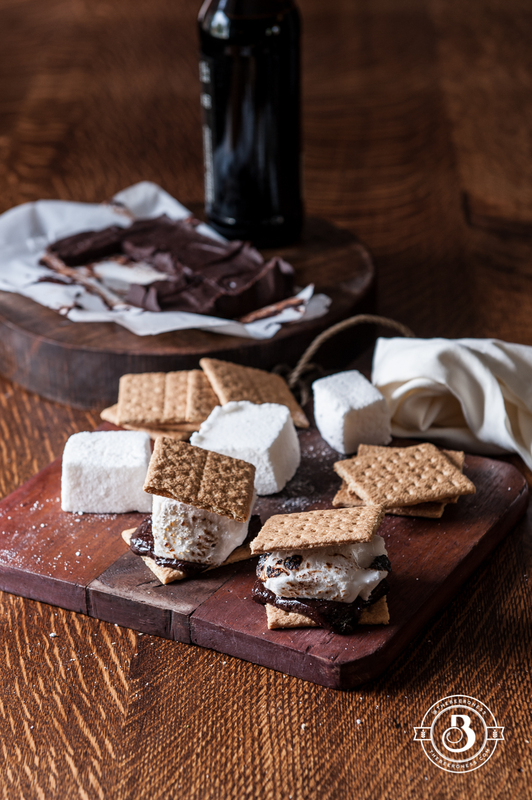 Brulé the marshmallows, sandwich one square of chocolate and one bruléed marshmallow between two graham crackers. *Use a malty beer, like a Belgian ale, stout, or a brown ale. 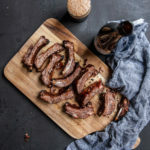 A hoppy beer, like an IPA or a pale ale will be too strong and bitter in flavor. 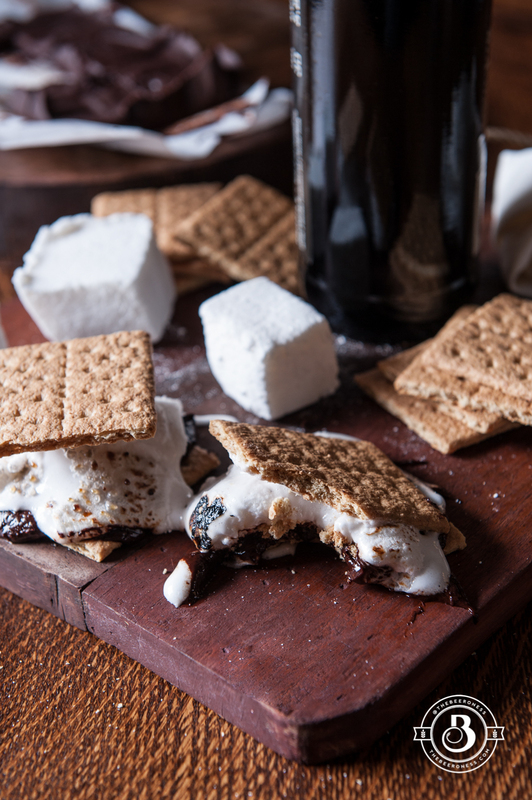 I definitely remember my first s’more – it’s a nostalgic treat for sure! Nowadays, I love using peanut butter cups vs. chocolate – soooo good! OMG, this gourmet adult beverage is calling my name! 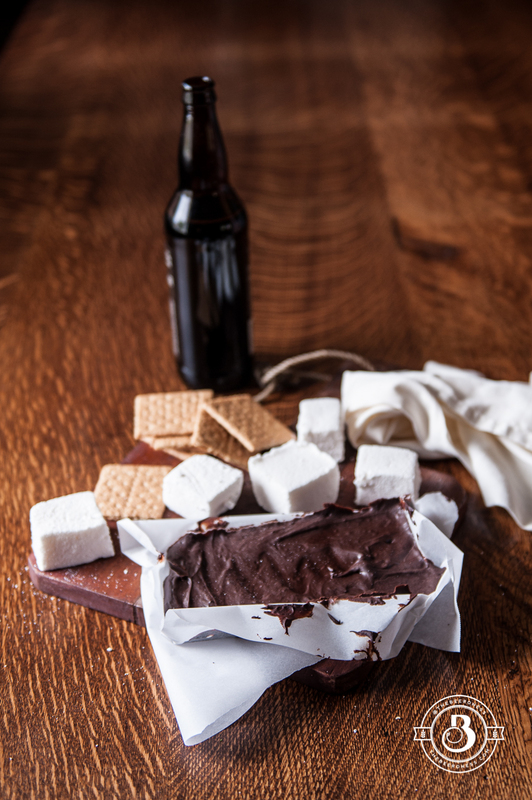 My two favorite things in one – Beer & S’mores! Excited to try these out ASAP. 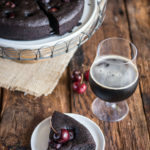 A local brewery W Sixth makes a nice Coca Porter that would be perfect for this recipe! The marshmallows seem a bit intimidating but, not ventured nothing gained. As a former Girl Scout camp couselor and dark craft beer lover, I feel compelled to make this recipe. These look amazing, I wish I had a plate full right now! Holy cow. This takes campfire food to a whole new level! I’m so intrigued by these marshmallows, too, but a good intrigued. Like the kind that has me drooling and going to the store for ingredients right this second. very cool – this blog is amazing. 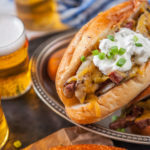 I’m not sure how you manage to get beer into so many recipes – Bravo!